(CNN) - Our home galaxy, the Milky Way, makes for a pretty space picture, and it looks normal at a distance. But a new 3D map reveals a surprise: The Milky Way is being warped and twisted by its stars. The Milky Way is a spiral galaxy, in which stars and gas clouds exist mainly in its two spiral "arms." Our massive neighbor, the Andromeda galaxy, is also a spiral. Spiral galaxies usually appear very flat and easy to see through a telescope, said the researchers behind the new map, published Monday in the journal Nature Astronomy. Using 1,339 large, pulsating stars to compile a 3D map of the Milky Way, researchers discovered instead that the galaxy's disk of stars is increasingly twisting, most likely due to the spinning of the disk. And the farther the stars are from the center, the more twisted it becomes. The stars used to create the map are called classical Cepheids. These are young stars, between four and 20 times the mass of our sun and 100,000 times brighter. Given their mass and brightness, they probably burn through their fuel quickly and die after a few million years -- young for the lifetime of a star. Previously, astronomers saw evidence of hydrogen clouds becoming warped in the Milky Way. This isn't completely abnormal, because astronomers have noticed the same pattern of progressively twisting spirals in about a dozen other galaxies. But it does help them make more sense of our galaxy. Because we live in this galaxy, that makes it harder to observe, and dust and starlight make it even more difficult when using telescopes. Trying to determine what our galactic center looks like is similar to trying to find the center of a forest you're standing in. "It is notoriously difficult to determine distances from the Sun to parts of the Milky Way's outer gas disc without having a clear idea of what that disc actually looks like," lead study author Xiaodian Chen of the Chinese Academy of Sciences in Beijing said in a statement. "Somewhat to our surprise, we found that in 3D our collection of 1339 Cepheid stars and the Milky Way's gas disk follow each other closely. 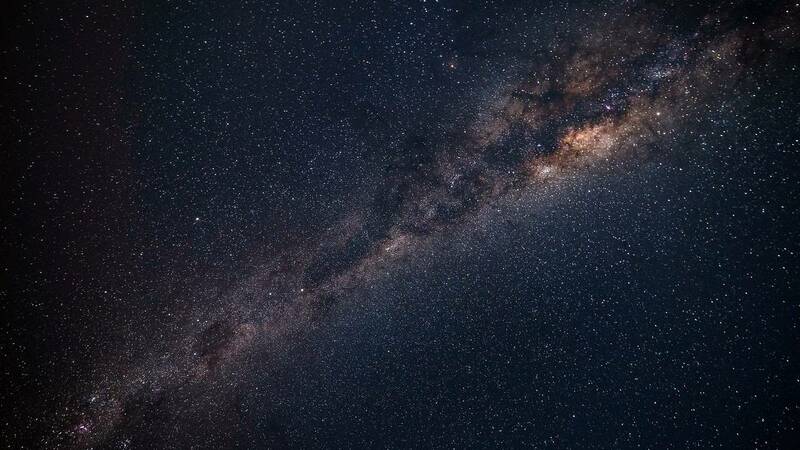 This offers new insights into the formation of our home galaxy," Richard de Grijs, senior study co-author and professor at Macquarie University's Department of Physics and Astronomy, said in a statement. "Perhaps more importantly, in the Milky Way's outer regions, we found that the S-like stellar disk is warped in a progressively twisted spiral pattern." So the massive inner disk's rotational force causes the outer disk to warp, the researchers concluded. "This research provides a crucial updated map for studies of our galaxy's stellar motions and the origins of the Milky Way's disk," said Licai Deng, co-author and senior researcher at the Chinese Academy of Sciences, in a statement.